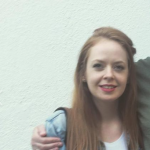 My name is Cat and I am a graphic designer living in Dublin, but a native of Laois. I have been working professionally as a graphic designer for five years, three of these have been spent working as a Design and Marketing Executive in the publishing industry. Previous to my current employment, I have worked as a designer in the corporate sector as well as in arts and culture sector. I am always willing to take on pro-bono work for charity organisations and good causes, if I have the time and resources available.